Item # 317458 Stash Points: 1,995 (?) This is the number of points you get in The Zumiez Stash for purchasing this item. Stash points are redeemable for exclusive rewards only available to Zumiez Stash members. To redeem your points check out the rewards catalog on thestash.zumiez.com. Get a "fire" new look with the Artist Collective It's Lit Black Web Belt. 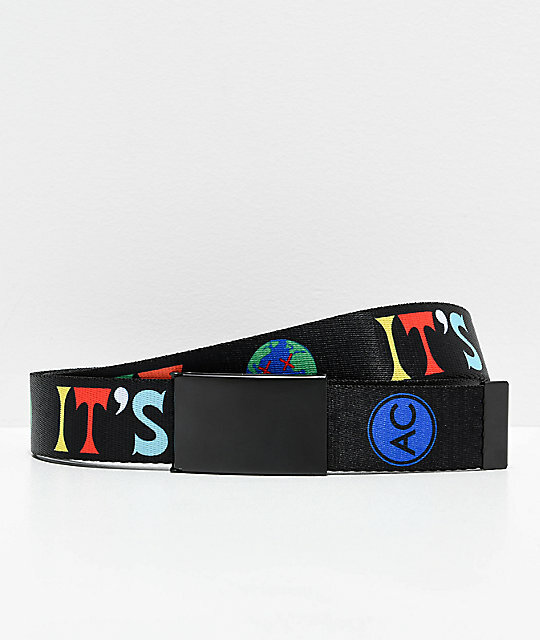 With "It's Lit" script woven throughout and accompanying images of planet Earth with sick looking smile faces on them, this belt is definitely a style all-its-own. 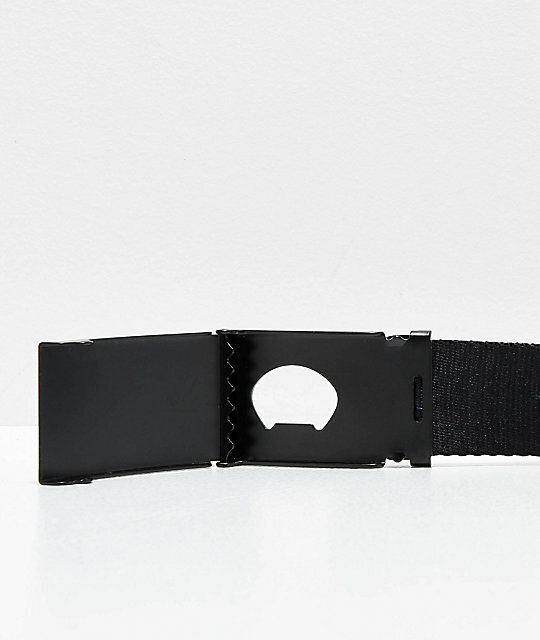 It's Lit Black Web Belt from Artist Collective. 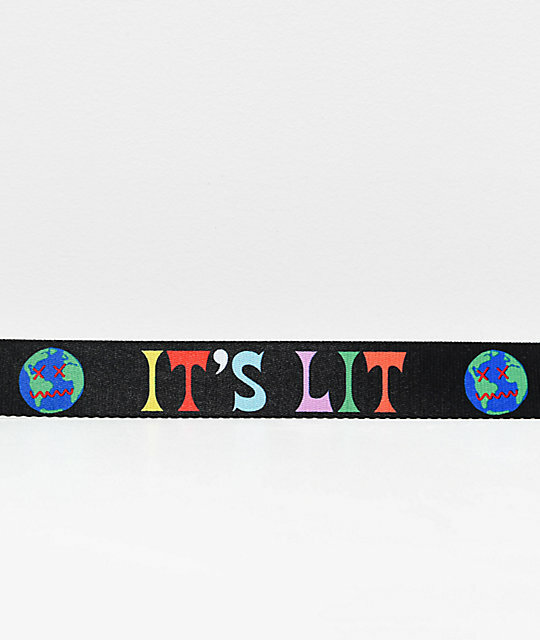 Black with multicolor "It's Lit" text throughout and accompanying planet earth images.